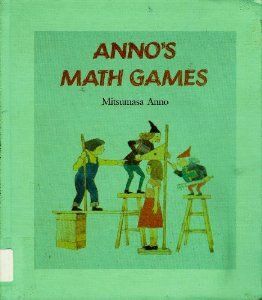 Today I introduced the kids to Anno’s Math Games. They worked as a team, discussing which item in the picture was different from the rest. There were a few heated discussions and we stopped because they got stumped on which fruit was different from the rest (the one with a single pit as opposed to many seeds). Looking forward to using this beautiful book each day! 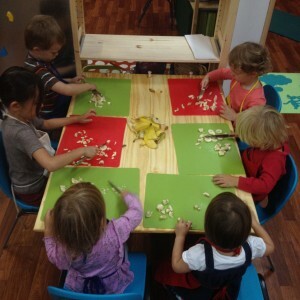 Today was cooking day at ALC Cottonwood. With the full school (2-6s) we practiced cutting skills and made Banana Cinnamon Wantons. They came out great and the kids were totally engrossed mincing their bananas. It was an awesome moment. The 5’6 & 6’s went on to make Play Dough for the school in the afternoon. Despite the chaos, I LOVE cooking with kids. It’s messy and not very hygienic but worth it in the end when the kids are proudly eating their creations!